When framing maps, our experienced staff, who all come from artistic backgrounds, can guide you through the framing options available and help you decide on the right framing solution for your map. A good starting point is to consider the feel of the image and how the frame may suit the image and your interior/purpose. We always encourage to keep things simple. To avoid damage it is important to keep the image as flat as possible. Things to consider when mounting include; how much of the paper/image do you wish to see?, do you want the image window mounted or float mounted, or a combination mount? how much width and what colour would you like any mount to be?, If you need a spacer how deep would you like it? 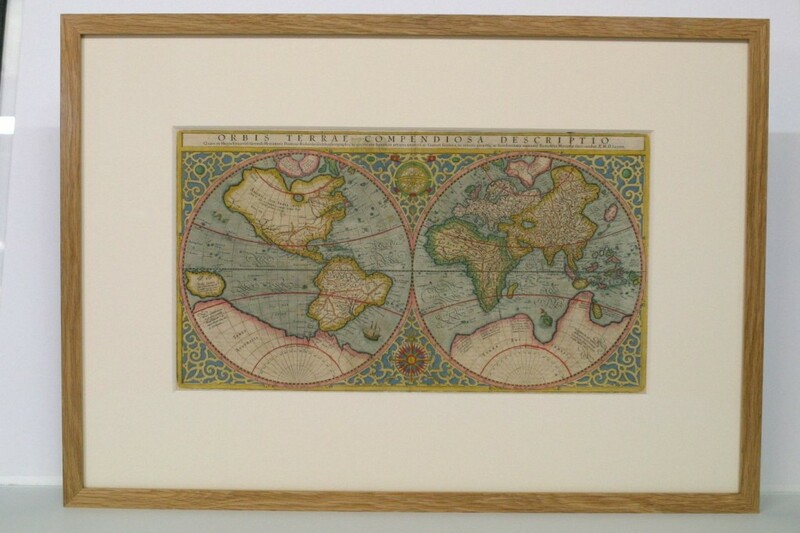 We would always suggest the use of UV filtering glass or acrylic on maps to avoid fading or discolouration of the image particularly antique maps. If reflections are a problem then we can offer anti-reflection glass.